Deciding on the hubs was time consuming, but not what I’d call super difficult. Tires, on the other hand, were impossible. Day after day, scouring forums and tire websites trying to figure out not only what I wanted, but more to the point, what did I want them to do. Be racy? Light? Crazy traction? Do it all? The number of options borders on absurd, but you can NOT have everything. I had all but settled on another pair of what I already have – Maxxis Ignitor – but I found no shortage of stories where sealant had caused unwarrantable problems. So rather than play the odds, I went for Mr. Racing Ralph. Everyone’s doing it. Who cares. 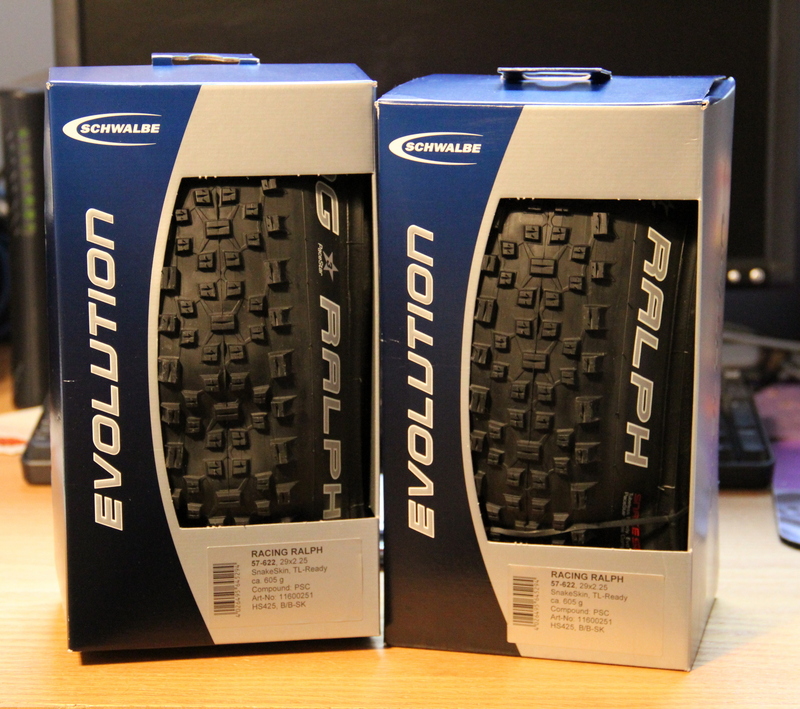 This will be my first foray into tubeless, and Schwalbe seems to have their act together. If things are super gross out there and the Ralphs don’t make sense, I’ll probably take my old wheels anyway, in which case the Ignitors will already be mounted and ready to go.